Serum immunoelectrophoresis is a lab test that measures proteins called immunoglobulins in the blood. Immunoglobulins are proteins that function as antibodies, which fight infection. There are many types of immunoglobulins that fight different types of infections. Some immunoglobulins can be abnormal and may be due to cancer. Immunoglobulins can also be measured in the urine. This test is most often used to check the levels of antibodies when certain cancers and other disorders are present or suspected. 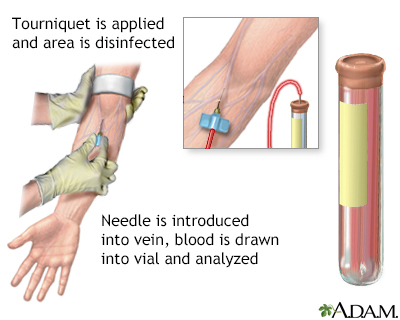 A normal (negative) result means that the blood sample had normal types of immunoglobulins. The level of one immunoglobulin was not higher than any other.